What is Gift Aid and How is it Used? Home > How to Guides > What is Gift Aid and How is it Used? Gift aid is a way for charities and charity donators to reclaim an amount of tax on charitable donations. An extra 28p on every pound donated to charity can be claimed using Gift Aid. What Exactly is Gift Aid? Charitable donators can boost the amount they give by signing up for Gift Aid through the HM Revenues and Customs. Gift Aid is basically a way to reclaim an amount of tax on charitable donations. The scheme is open to all charity donators who pay UK tax. Gift Aid is one of the easiest ways to increase the amount given to a charity by almost a third of the original donation. This tax effective scheme can be applied to one off donations or regular contributions over a period of time. How Much Can be Claimed With Gift Aid? Using Gift Aid will increase the charitable contribution by 28p for every one pound donated, although the exact amount will depend on the tax rate. For UK tax payers the basic tax rate is 20%; for every £10 given to charity a further £2.50 can be given to the charity. Will Higher Tax Payers be Able to Give More? Tax payers who pay 40% tax can claim the difference between the 20% tax rate and the 40%. Reclaiming is made on the gross amount; the total amount donated. Those who pay the highest 50% tax rate will be able to reclaim 37p on every pound donated. Donators will need to keep detailed records of the Gift Aid donations over each tax year. This can be detailed on an annual tax return form or on a P810 tax review. Can the Charity Deal With Reclaiming the Tax? Charitable organisations can reclaim the tax on behalf of the donator. This is usually undertaken by completing a declaration form provided by the donator’s favoured charity. By completing the charity’s declaration the charity itself can then claim the tax refund. The charities can also reclaim the additional transitional relief for any donations made before the 6th April 2008. Will Large Amounts of Personal Information be Held by the Charity? If the donator decides to use the charity’s Gift Aid declaration then some information will be required. The amount of information required is minimal. Details will include name, address and telephone number. An email address will usually also be required. The declaration may contain a statement that donators wish all donations made in the future and past four years to be treated as Gift Aid donations. This means that the charity can then reclaim the tax for past and future donations. Do I Have to Give All of My Tax Refund to Charity? It is entirely up to the individual if they wish to give their own charity tax refund to the charity. The donator can decide they wish to give either part or all of their refund to a charity. The tax refund can be sent directly to the charity of choice by advising the HMRC of this. Again, this can be indicated on a self-assessment tax form. If the refund is donated as a Gift Aid then the refund and a Gift Aid tax repayment will be sent directly to the chosen charity. How Do I Know if I Qualify For Gift Aid? Donators must pay UK income tax or capital gains tax in order to qualify for Gift Aid. 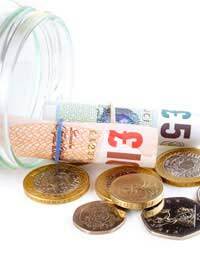 This means that for every one pound donated to charity, 25p must have been paid in income or capital gains tax during the same financial year. Before April 2008 the amount paid in tax would have to be 28p. If these requirements are met then the donator would qualify under the stipulations of the Gift Aid scheme. Can Gift Aid be Applied to All Charities? Yes, Gift Aid is open to all charitable organisations no matter how big or small they are. Gift Aid also applies to Community Amateur Sports Clubs (CASC). All charities should take advantage of this cost effective scheme to increase the amount of money that can be brought in. Charities that are involved with Gift Aid will usually be indicated by the Gift Aid logo. It is quite simple for charities themselves to start using this scheme simply by contacting the HM Revenues and Customs. Is there anyone who knows about organizing a school raffle draw?